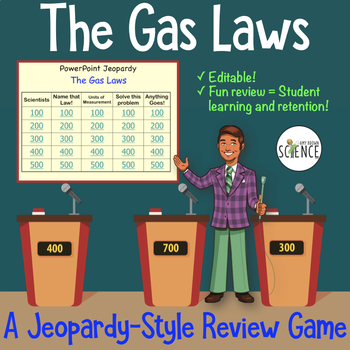 Spice up your review for the unit test on "The Gas Laws" using a fun game format! 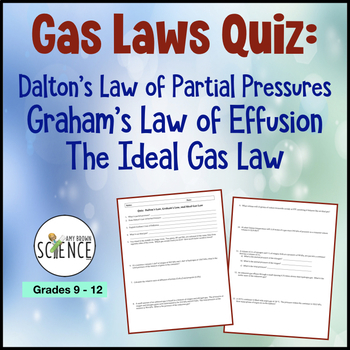 The game has the following five categories: Gas Law Scientists, Name that Law!, Units of Measurement, Solve that Problem!, and Anything goes. 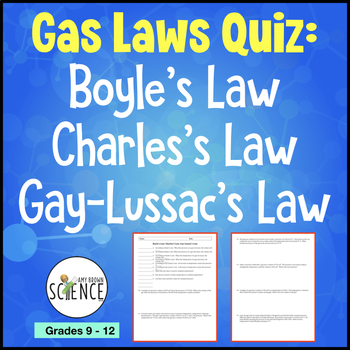 This would be appropriate for a physical science or a chemistry class. 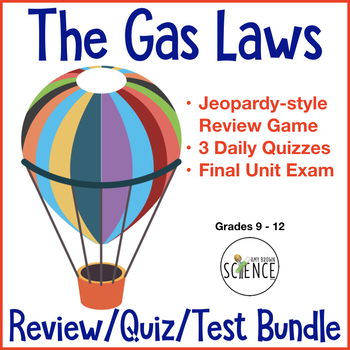 If you are teaching a unit on the gas laws, then this bundle will cover all of your reviewing, quizzing and testing needs. This is a bundled pack containing 3 separate quizzes, one unit test, and a PowerPoint Jeopardy review game. The following five resources are contained in this bundle: Click the links below for detailed product descriptions. When appropriate I have included both an editable Word document as well as a pdf version of the document.